Initially, it was a friend of ours who got us hooked on dirt biking. She has ridden dirt bikes her entire life and now rides them with her own 4 children. She told us it was a great family hobby because it was something everyone could do at once and it was the perfect amount of “togetherness”. However, my wife and I were nervous about our kids riding dirt bikes, and wondered at what age it would be safe for them. Kids as young as 3-years-old can start on small electric dirt bikes, and can safely ride a gas-powered 50cc dirt bike at age 4 with training wheels. At age 5 or 6, they can be zipping around without training wheels and even taking small jumps on real dirt bikes. If your 8-year-old is like mine, you won’t dare keep up with him on a trail ride. 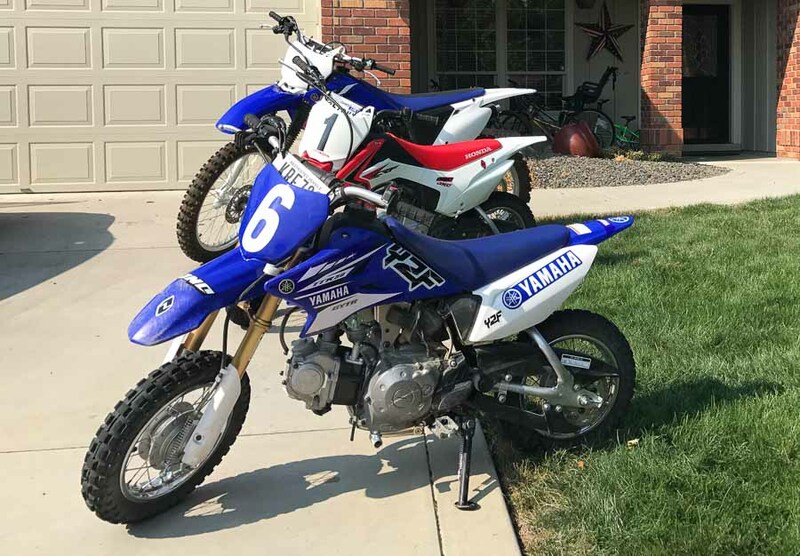 We have a Honda TTR230 (for my wife and I), a Honda CRF110 (for my 8-year-old) and a Yamaha TTR50 (click for my review) for my 6-year-old. Our boys are six and eight and our baby girl is 14 months old. Our six and eight-year-old learned to ride the dirt bikes really fast. The first few times out were a little rough. They pretty much crashed the bike every couple feet. The bikes are so heavy and hard for their little bodies to maneuver and balance. But once we found a fairly straight and long enough road for them to practice on, they grasped the concept incredibly fast. Just a few months into it, they are riding as fast as the bike can go, climbing hills, and jumping their bikes. We first bought a 50cc dirt bike. If you’ll be buying a 50cc dirt bike, then definitely read my tips on the best 50cc dirt bikes on the market. My 6 and 8-year-old boys were very excited about riding, but they were also very intimidated by the loud, powerful, heavy bike (to them). The first time we took them out, we went to a popular dirt biking spot near Boise. There were too many ruts in the ground and they couldn’t make it more than 50 feet without falling down. The next time we went out, we took the kids to a long straight dirt road with no vehicle traffic. This was much more fun for them. They enjoyed riding “fast” (probably only 10mph) down the road and feeling powerful. However, they couldn’t turn well. When they had to turn around 180 degrees on the road, they always tipped over and cried when the heavy bike landed on them. But they kept at it. It was tough for them to learn how to balance while on the heavy dirt bike. You need to learn when you turn, but if you aren’t going fast enough, the weight of the leaned-over bike will push the rider to the ground. The boys loved their first 5-6 rides, but they were still getting the hang of stopping and turning without falling. We didn’t put training wheels on their dirt bike because we wanted them to learn to do it. They can ride a bicycle without training wheels, so we knew they could figure this out. Then, it finally clicked for them. Now, the do little jumps, they can ride 25mph down dirt roads, they climb hills, etc. Those kids are AWESOME! As a dad, I’ve been really pleased to see the boys CHALLENGED with something HARD for them. They have enjoyed it enough that they stuck with it and now are really good at it. To me, that’s what makes dirt biking a home run of a family hobby. I want my boys to learn to overcome things that are hard at first. My wife, Emily, and my son Ruger out dirt biking together. You can find a lightly used 50cc dirt bike for about $700. A new 50cc dirt bike costs about $1,400 for a Yamaha or Honda. 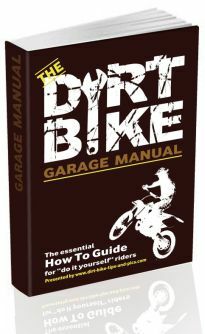 Read my advice here on buying a 50cc dirt bike. If your kids are over 7 years old, you may want to start them on a slightly bigger bike. I wrote a post about the best dirt bikes for 8-year-old kids. I spent $1,400 on my son’s CRF110 that was 3 years old and in great shape. Buying protective gear is also a major expense for starting out on a dirt bike. Expect to spend about $350 for new kids gear. I wrote a full post with the best kids dirt bike protective gear we have found for good prices. Before you make a decision on whether or not your kid is ready for dirt biking, PLEASE PLEASE PLEASE read my full post on dirt bike safety for families. In that post, I did a ton of research into the actual statistics of the likelihood of injury on a dirt bike. 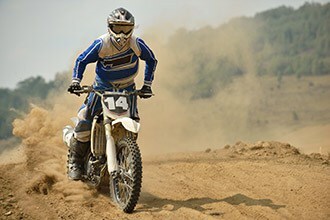 Over half of dirt biking injuries requiring a hospital stay were incurred at an official dirt bike track, despite the fact that most dirt bike riding is done on dirt roads or off-road and not an official track. This shows that if you enjoy a dirt bike as a trail riding/off-road vehicle instead of racing or jumping, you dramatically reduce your chance of injury. I’m not saying no one should ride at a track, but I am saying that if you’re nervous about dirt biking safety, you’re statistically safer to trail ride–which is how our family enjoys dirt bikes. Fatalities from dirt bike riding do happen, but in OVER 50% of the dirt bike fatalities, alcohol is a factor. This severely reduces the statistical risk to kids since they obviously won’t be drinking. Never put your kid on a dirt bike improperly sized for them! Get them on a properly sized dirt bike which has an appropriate level of power for their strength and age. Over 60% of deaths occur in persons not wearing a helmet. So duh, make your kids ride a helmet–every single time! Dirt biking is significantly safer than four-wheelers. After going through all the statistics of serious injury on a dirt bike, we feel that by riding off-road, wearing all the safety gear, and keeping the kids on the right size dirt bike, we believe that dirt biking is a safe family sport. When kids first hop on a dirt bike, we always put them only in first gear, and we set the governor on the throttle so they can’t accidentally go too fast. In first gear, they really won’t exceed the speed of a bicycle. This really helps them to be safer for their first 2-3 trips out to ride. Then we move them into second gear. Many kids will never get the confidence to go past 2nd gear until they are 8-9 years old. That’s great because it limits their max speed. Although we LOVE dirt biking and our six and eight-year-old are doing great, it has proven to be a little challenging with our littlest one. Some people say you can strap the baby to you in a baby carrier and you’re set. We didn’t quite feel comfortable with that. It seemed that if I messed up riding the bike even the in the slightest way, I could lose my balance or control and really hurt the baby. Die-hard riders start their kids off as young as six months with an adult, and 15 months on their own but still very supervised. Personally, we think the kids should be able to at least steer a bicycle on their own before they set out on a dirt bike. Faith (our baby) is able to have short, small, and easy, straight rides with us on our big bikes at 14 months. With her snug between our legs and her holding onto the handlebars, she feels pretty secure. One thing I’ve noticed is that if we ride too long, longer than 15 minutes, the wind starts to irritate her ears because she doesn’t wear a helmet yet. If you can get your baby to wear a helmet, super. But if not, a great remedy to this problem is to sew ear muffs onto a headband. A couple solutions we found to our predicament was to take the toy hauler camping trailer wherever we went biking, even if it was just for a few hours. This way, we could trade off taking care of the baby while one of us rides the bike. Also, it provided an easy way for us to have plenty of snacks and drinks to make it more enjoyable and to have a place for the kids to rest when they got tired of riding for the moment but still wanted to ride. A more quick and easy solution we drew up was to get an actual dirt bike trailer for when we aren’t camping. Although we aren’t quite as perfectly comfortable or convenient for the ones waiting to ride, it provided us with enough of what we needed to still have an enjoyable time as a family with our little kids.